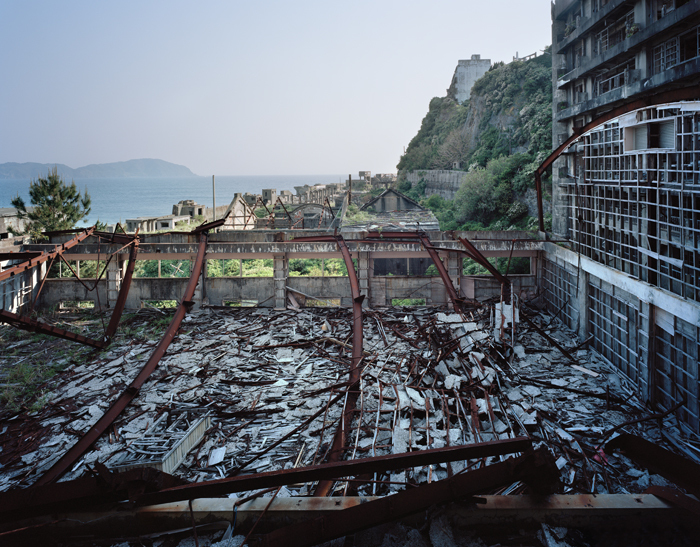 In 1959 the South China Sea's Hashima Island -- locally known as Gunkanjima -- was the most densely populated place on earth. More than 5,000 people were packed on to the tiny island the size of 15 football pitches. 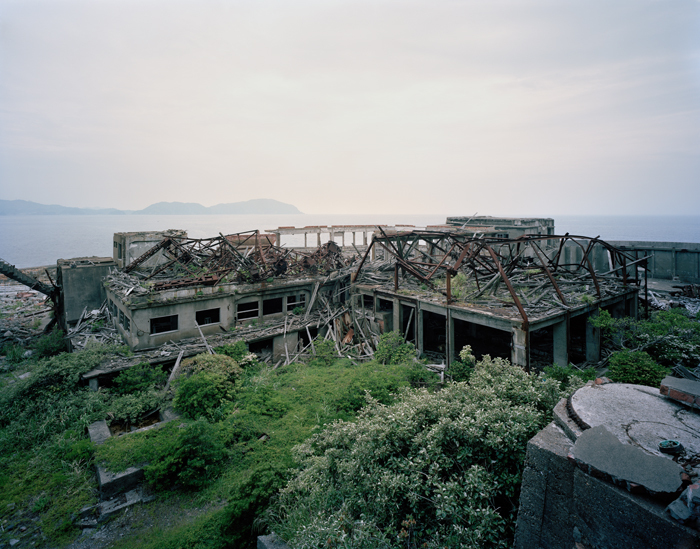 Lying around 20km of the coast of Nagasaki on the south-west coast of Japan, the coal-mining settlement owned and developed by Mitsubishi sprung to life in 1887 and expanded rapidly in order to house the many workers and their families living on the island. Fast-forward to 2013 and I stand on the shore of Hashima behind a huge iron gateway that resembles a blast door, about to enter the walled city nicknamed Ghost Island. Population: zero. Four years earlier, I had been trawling various blogs and websites looking for ideas and inspiration to drive personal projects -- work that would hold a certain weight and longevity. Alongside editorial and commercial shoots, I'd done a number of self-initiated projects since graduating from university: documenting South American and Mexican landscapes, cityscapes of Hong Kong, and, most notably, a series of portraits and brutal scenic interiors from an abattoir. A number of years had passed and I felt like it was time to get back to my landscape and architectural-photography roots. 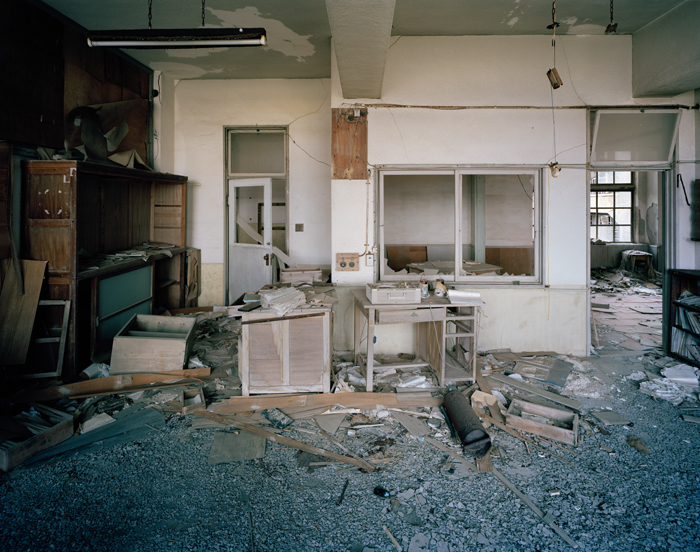 Drawn to abandoned places and the stories behind their desertion, I stumbled on this mysterious island in Japan. 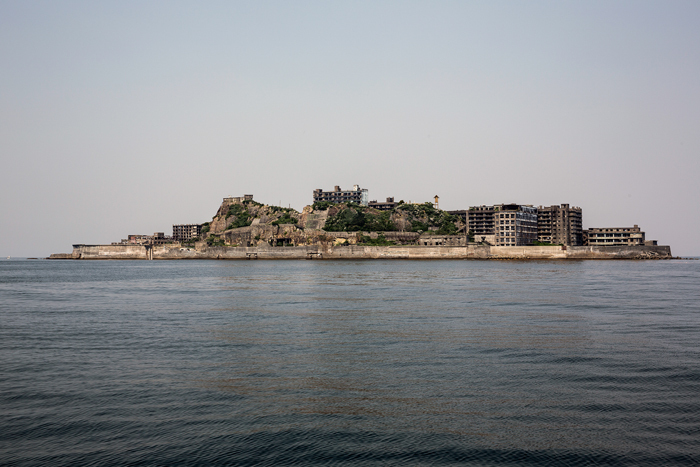 When viewed from afar, the walled city's landmass -- densely packed concrete blocks that seemed to intermingle chaotically -- resembled a Japanese Tosa battleship. It certainly caught my attention. 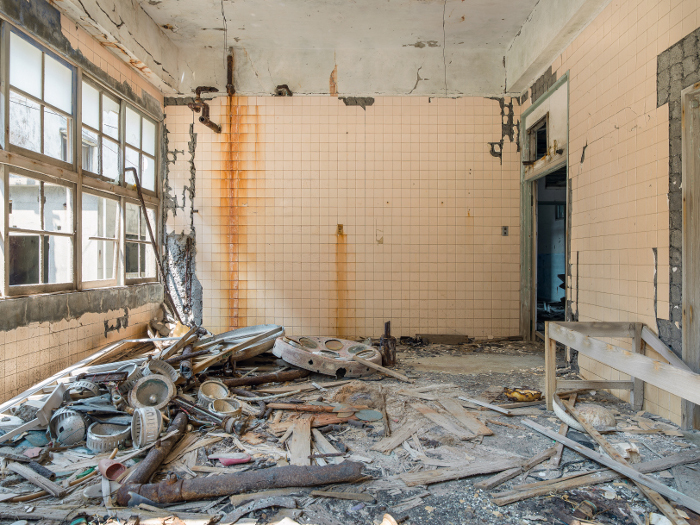 During the Second World War, an American Navy torpedo targeted Hashima (its nickname Gunkanjima means battleship island in Japanese). Because of the island's scale and shape -- reminiscent of a rugged warship -- it was mistakenly viewed as an imposing threat. Fortunately damage was minimal. The island had, after all, been specifcally designed to withstand time and the constant battering of high waves and typhoons. 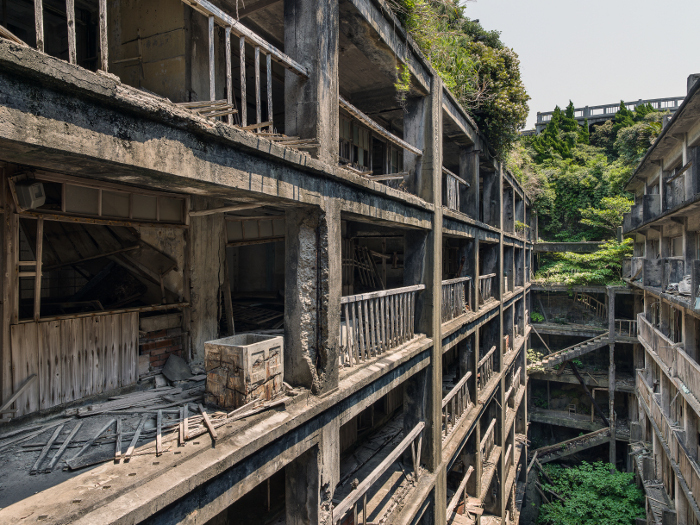 Hashima was once one of the world's most remarkable mining communes. It thrived and expanded through the industrialisation era thanks to the lucrativeness of extracting coal from beneath the seabed by its owner, Mitsubishi. Travel to and from the island was heavily restricted, with inhabitants needing express consent to come and go. 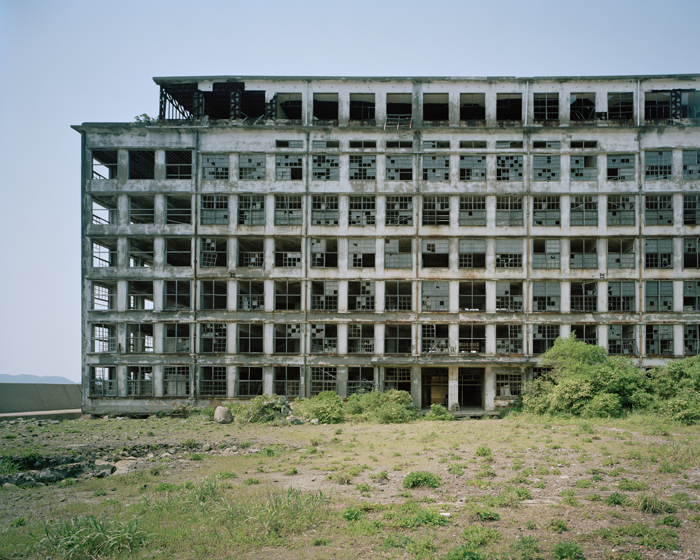 The regulations on travel meant that all of the employees had to live and work on the island itself. 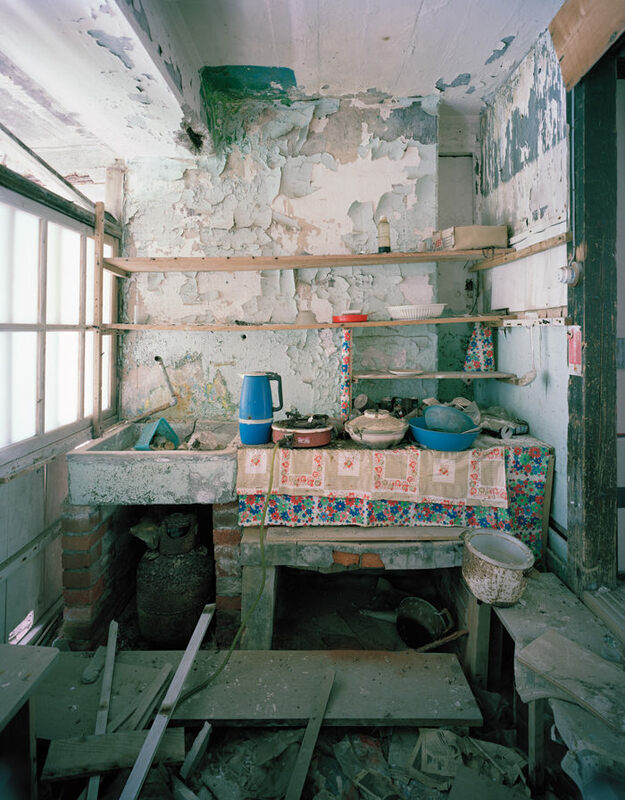 Workers and their families were provided with free accommodation and the island catered to every aspect of a modern family lifestyle. 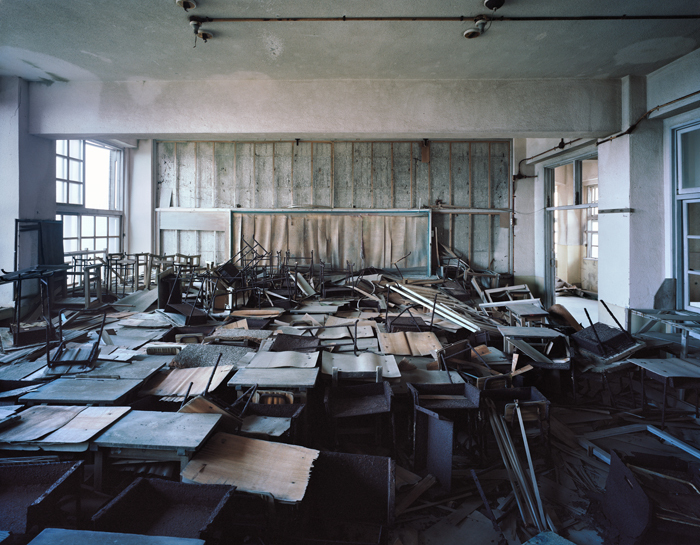 As well as living accommodation in huge apartment blocks, it had a school with a gymnasium, multiple playgrounds, tennis courts, a hospital, shops, restaurants, religious shrines and, later, a cinema and swimming pool.